Proud to Be Part of the Picayune Community! Home » Hours & Locations » Proud to Be Part of the Picayune Community! At Advanced Eyecare, we are proud to offer eye care services to children and adults alike in the Picayune community. But along with being proud providers of eye care and eyeglasses, we are also proud members of the community! Whether you’re living here in Picayune, or just passing through, there’s plenty to do here while you’re in the area for your annual eye exam! If you’re looking for a bit of local reading, feel free to pick up the local Picayune Item! This local paper gives a real feel for the latest happenings here and in the greater Pearl River area. You should also feel free to stop by The Margaret Reed Crosby Memorial Library, which serves Picayune and is the headquarters of the Pearl River County Library System. A fan of the outdoors? Well, then you shouldn’t miss The Crosby Arboretum. The Arboretum is home to the Pinecote Pavilion, one of the architectural jewels of not only Pearl River county, but also Mississippi, as a whole! The Pavilion received a 1991 Honor award from the American Society of Landscape Architects (ASLA) and an ASLA Medallion Award (1999). Pinecote features walking journeys through 20 acres of biologically-enhanced savanna exhibits, 40 acres of woodland succession, and nearly 4 acres of created waterways. Interested in science and space? The John C. Stennis Space Center (SSC) is also located within 10 miles of Picayune. 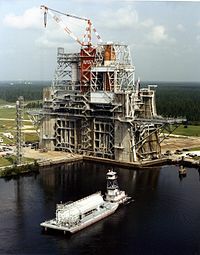 As of 2012, Stennis Spcae Center is NASA’s largest rocket engine test facility, and boasts The INFINITY Science Center as a public NASA visitor and science museum. The 72,000 sq.-foot facility is located adjacent to the Mississippi Welcome Center near the MS/LA border. Admission includes a behind-the-scenes bus tour of nearby Stennis Space Center. The center offers interactive exhibits including the history and future of NASA, space, various planets within our solar system and without, stars, weather, earth science, space travel and exploration. A full-sized International Space Station module is on display, as are a cutaway model of the Orion spacecraft, and components from a space-flown RS-25 Space Shuttle Main Engine. The INFINITY Science Center also has outdoor displays, including an F-1 rocket engine, a tsunami buoy, U.S. Navy riverine training boat and the Apollo 19 Saturn V first stage rocket booster. Want to know more about things to do in and around Picayune while you’re around for your eye exam or to update your eyeglasses or contact lens prescription? Ask our eye care team, today!